There are two culturally enriching organisations in our city that came into existence in the past three years. One is the Mysore Book Clubs – 2015 under the auspices of the Mysore Literary Forum Charitable Trust (MLFCT), promoted by that ever-active Shubha Sanjay Urs, skilled in the art of making friends, the President. More or less during the same period, another organisation related to books and literature known as ‘Mysore Literary Association’ (MLA) took birth under the Presidentship of its promoter Prof. K.C. Belliappa, an english teacher. He was the former Vice-Chancellor of Rajiv Gandhi Central University at Itanagar, Arunachal Pradesh. While ‘MLA’ conducted a Literary Festival once in a year, so also the MLFCT. In other times, both these organisations engage themselves in literature-related activities like poetry and novel reading by authors or launching new books by the authors both well-known and less-known. It was only a few days back on Sunday August 12, 2018, the second Mysore Literary Festival of ‘MLA’ was held at the Senate Bhavan which Sarod Maestro Pandit Rajiv Taranath had inaugurated. Among others, Pavan K. Varma, the former diplomat, now a politician and a well-known author, was a Star Speaker. He had rendered a lucid exposition of Adi Shankaracharya about whom he had written a book of the same title. 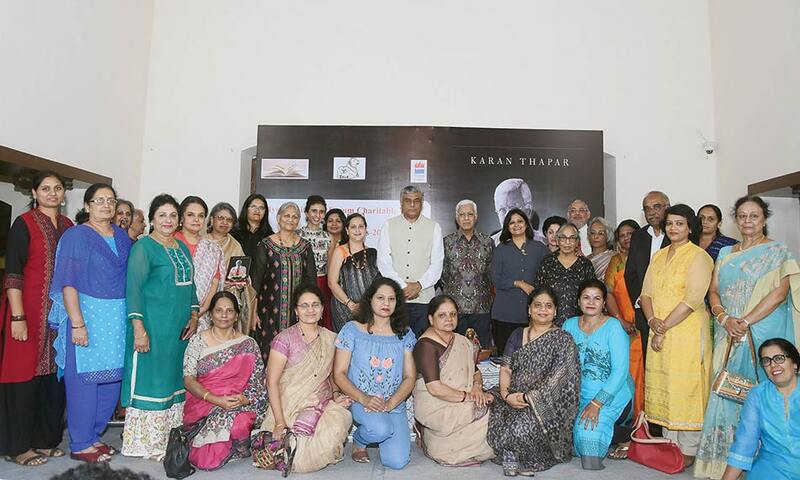 Therefore, it was a sort of double blessings or to use a slang ‘double dhamaka’ for Mysureans when the MLFCT organised a book release at the Wind Chimes in Nazarbad, where Karan Thapar, the well-known TV presenter and author was the Superstar. 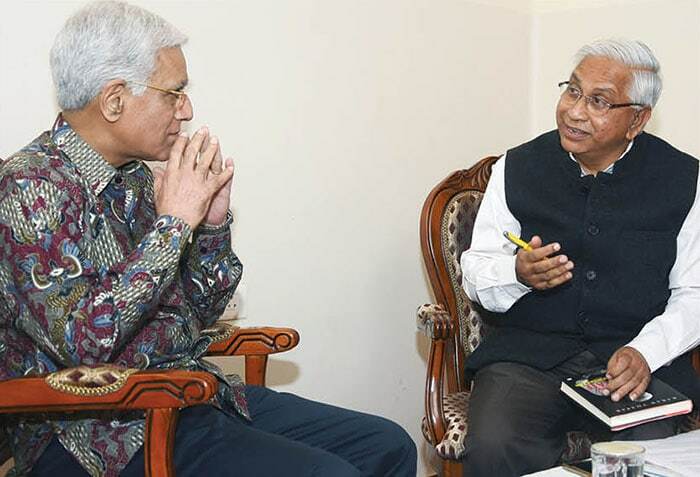 His latest book ‘Devil’s Advocate – The Untold Story’ was launched and then he was engaged in a conversation with another VIP from Karnataka Prof. M.V. Rajeev Gowda, a Congress MP. The book was launched by Raian Irani, industrialist and the inheritor of the legacy of the legendary Jawa Motorcycle. When Shubha told me that Karan Thapar was coming to Mysuru to launch his book and Prof. Rajeev Gowda would engage him in a conversation, I was both delighted and excited no end. There are two reasons for that. One, seeing Karan would be like seeing a mirror image of my own late brother Dr. K.B. Subbaiah with so much likeness to my brother’s facial features; even that restrained smile. Another reason for my interest is the time of his visit. It was just 22 days after I wrote my column ‘Abracadabra’ titled “‘Devil’s Advocate’ quoting Bible!” where I had alluded to what Karan Thapar had revealed about Pavan Varma — wondering if it was ethical on the part of a journalist. Wind Chimes is a renovated-restored heritage property with its small hall, which could accommodate about 150 people. It has a huge area behind with two Rain trees spreading its branches full of foliage and a huge trunk, suggesting its heritage, well-secured with a circular construction around it on the ground where people could sit holding their glasses and saying cheers to each other. It is an ideal rendezvous for parties and functions of this kind. Since there was apprehension about the impending rain, the function was moved indoors. HAPPINESS: In the midst of a bevy of beauties and yet the four men seem to be without a smile. Being an Army General’s son, one would normally imagine his personality to be similar to that of swashbuckling army officers. Well, but none of it was there in him. 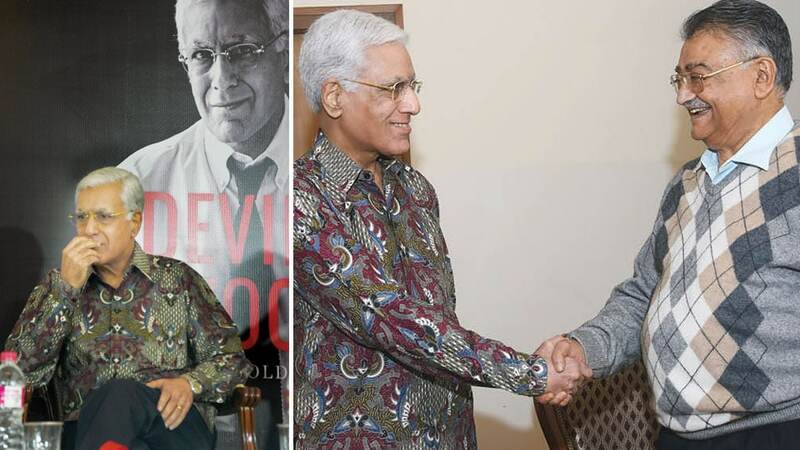 The image of Karan Thapar to the TV viewers, undoubtedly, was that of a butcher. An angry poker-faced predator after its prey with an impassive face and tout lips that rarely smiled while asking treacherous questions in staccato voice making the query sitting opposite quiver like a piece of jelly under a tremor. In sharp contrast, what I saw in him was a soft, gentle person with a shy smile, of average height and unassuming. To use my aunt’s lingo ‘he is so sweet’. I was surprised to see him wearing a jazzy maroon coloured printed long-sleeved bush-shirt, hanging out. Of course, his trademark grey hair was there. The detailed report of the function has already appeared in Star of Mysore and I will not inflict a repetition. However, I must mention about the interview Niranjan Nikam, Features Editor of Star of Mysore, had with Karan before joining guests for dinner. The interview will appear soon. After autographing books purchased by his admirers, from the small book stall opened by Sapna Book House of our city, I was able to waylay him on the aisle. I told him about the semblance between him and my late brother and also mentioned of the book I have written detailing the 40-year journey of Star of Mysore about which was mentioned in the welcome speech. Grace ! Niranjan in conversation with Karan. Be that as it may, the following morning, I requested Niranjan Nikam to collect the book and the Ganjifa painting by the renowned artist Raghupathi Bhat from my house and hand them over to Karan as I was leaving for Kodagu early in the morning. When Niranjan went to the hotel at 8 O’ clock, he was told to leave the items at the Reception Desk asking them to deliver to his room. The hotel was Radisson Blu near the Race Course. However, the items were not delivered either to his room or while checking out. Thanks to Shubha’s sixth sense that she had asked her english-speaking driver, who was to drive Karan to Bengaluru, to check about the items Niranjan had left at the Reception Desk. The driver saved the situation for me and I guess for Karan too. Another embarrassing moment in the Radisson Desk was when Karan arrived at the hotel to check-in. The Receptionist at the Desk was telephoning Shubha saying, ‘Mam, your guest has arrived. Who will make the payment for the room,’ when in fact, full payment was already made towards the room. Shubha was not sure if Karan was within the ear-shot of the call ! Amen.